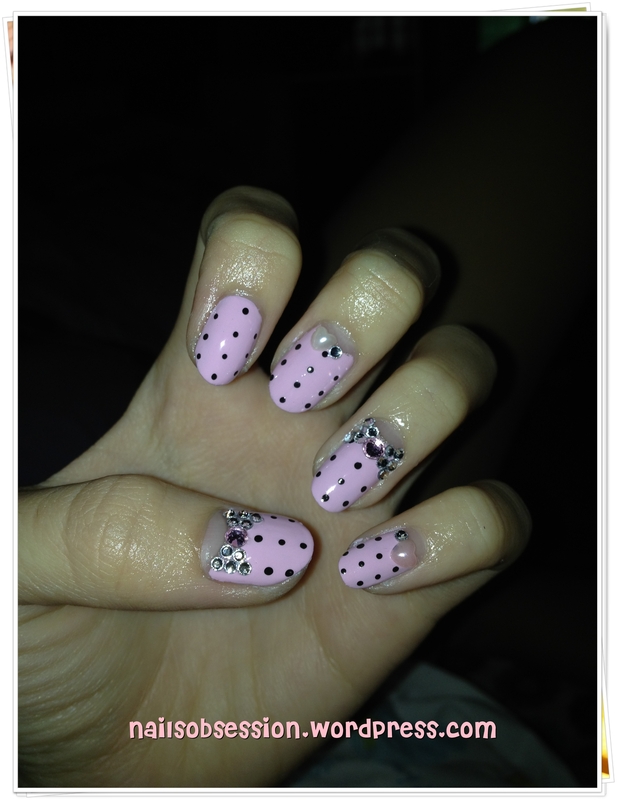 ❶❶: Finally had time to do my nails! 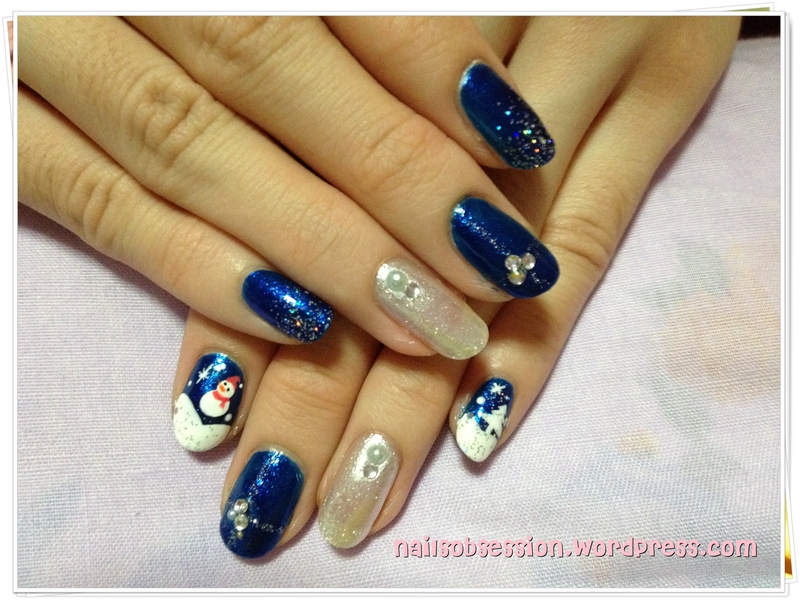 Saw this cute snowman design from Nail Max and I just have to experiment it! Close up! 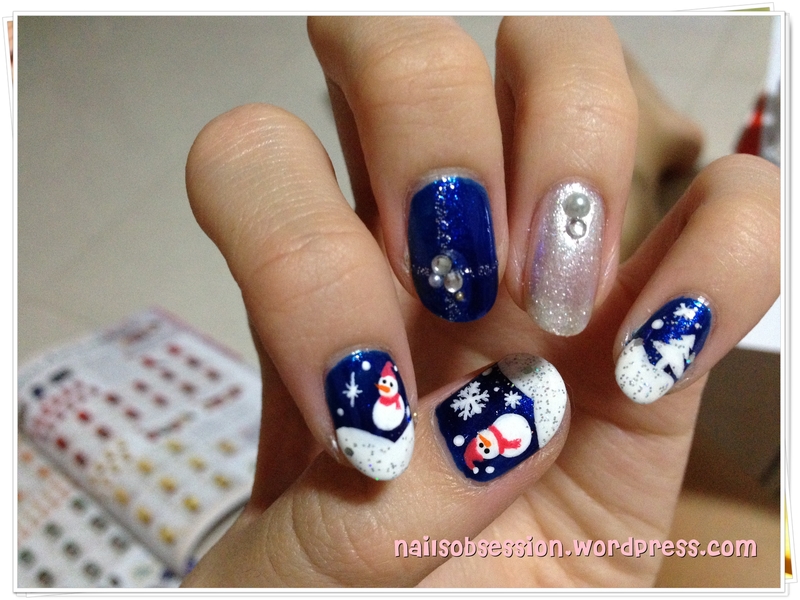 Gotta practice more on my drawing skills, my snowflakes are so thick..
Got bored of my snowman nails after 2 days cos’ it’s not the right mood lol! 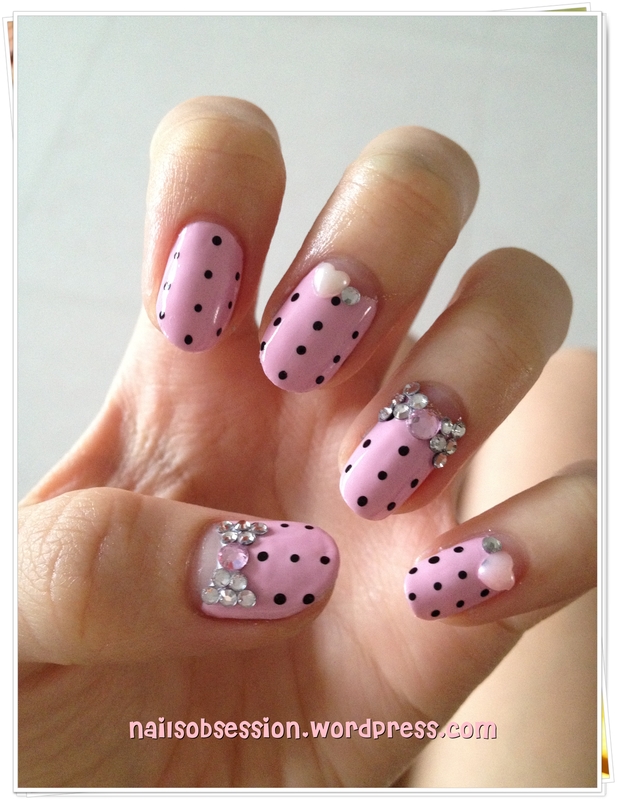 So I changed it to something cuter so my nails wouldn’t look too odd against my dress when attending my cousin’s wedding. 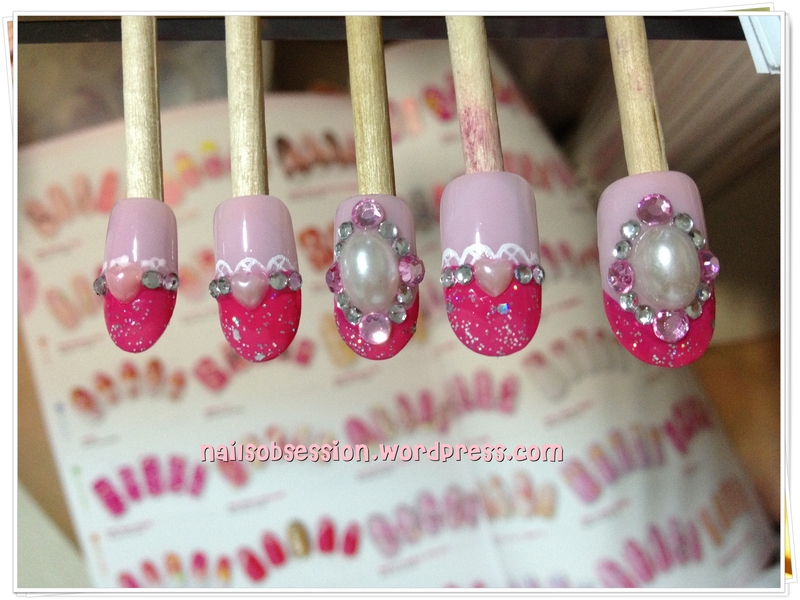 I always wanted to do something that’s Victorian style so I did this for Litian’s wedding nails. 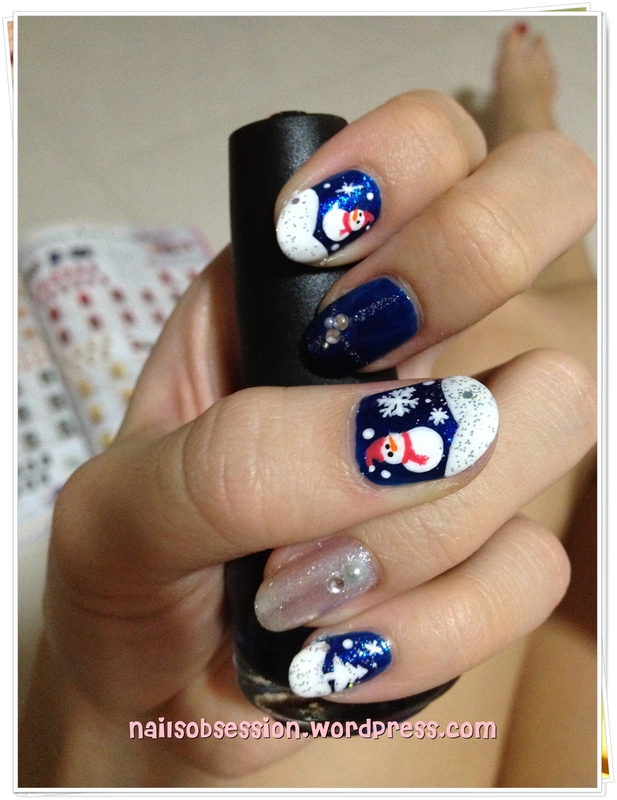 The original was from Cynful nails but I modified it here and there and voila!